Uniquely among the seven centres that make up the High Value Manufacturing Catapult, the Nuclear AMRC bears the name of a single industry sector. The UK’s civil nuclear industry currently employs some 65,000 people along the supply chain, and contributes around £6.4 billion to GDP – as much as aerospace manufacturing. The sector is set to grow as energy companies plan to build 18GW of new nuclear power generation at six sites around England and Wales, investing at least £70 billion to replace current plants which generate around a quarter of UK electricity. Beyond that, by some estimates the UK will need another 50GW of low-carbon generation as electricity replaces fossil fuels for the transport and heating needs of a growing population. That means fantastic long-term opportunities for manufacturers which can meet the sector’s requirements. Nuclear power presents some of the biggest challenges in engineering, as well as some uniquely stringent requirements for suppliers. Its particular demands are recognised in the nuclear sector deal, published in late June as part of the government’s industrial strategy. The Nuclear AMRC will take a key role in delivering the deal’s £32 million advanced manufacturing programme, working with industry and research partners to demonstrate the benefits of advanced techniques and technologies. The centre will also play a leading role in the proposed £30 million national programme to enhance the capabilities of the UK’s supply chain, building on the success of its established programmes such as Fit For Nuclear (F4N). Fulfilling the Nuclear AMRC’s mission of helping UK manufacturers win work in nuclear and adjacent sectors means putting as much emphasis on supply chain development as on manufacturing innovation. More than 140 UK manufacturers, mostly SMEs, have now been granted F4N status after driving improvements through the Nuclear AMRC’s flagship supplier development service. F4N lets UK manufacturers measure their operations against the standards required to supply the nuclear industry and take the necessary steps to close any gaps and reach the next level of performance. More than 850 companies – representing some 410,000 employees and £24 billion of turnover – have started their F4N journey by taking the initial nuclear capability questionnaire. The journey to granting typically takes 12–18 months and demands commitment and drive from senior managers, but the Nuclear AMRC team supports companies through every step. Many participating companies have won new work thanks to F4N, but new entrants to the nuclear supply chain say they still face significant obstacles to winning work – not least in connecting with potential buyers. The Nuclear AMRC is now providing additional targeted support to companies after F4N granting, to help them identify opportunities in the nuclear sector and win tenders. To add even more value, the centre is also drawing on the lessons of one of its largest projects to date – Civil Nuclear Sharing in Growth (CNSIG), a major programme of supplier development and industry-led R&D backed by £37 million from the Regional Growth Fund. Led by the Nuclear AMRC and Rolls-Royce, CNSIG included a four-year programme of intensive supplier development for some of the UK’s key nuclear manufacturers. Eight companies completed a four-year programme of business development and training over 2014–17, tailored to the specific needs of their business. CNSIG continues to make a sustained impact – to the end of March 2018, the participating companies reported that CNSIG has helped them secure £529 million of orders. Linking manufacturing R&D to supply chain development is vital to ensure that manufacturers of all sizes can access innovative technologies, and have the business capabilities to successfully put them into production. 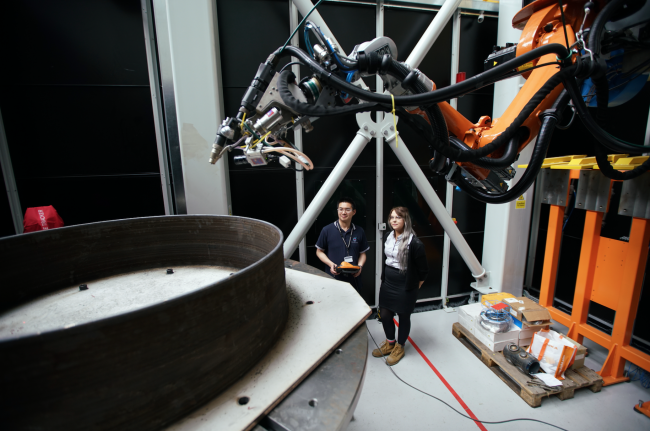 The Nuclear AMRC is working with an ever-growing number of companies to overcome their manufacturing problems and develop new technical capabilities. 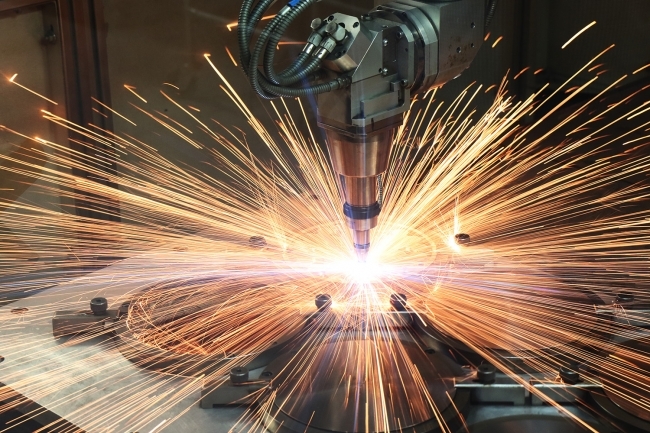 Its research factory in South Yorkshire is home to some of the largest and most powerful machining centres, welding cells and inspection facilities in the HVMC network – and, in some cases, the largest available for industrial research anywhere in the world. 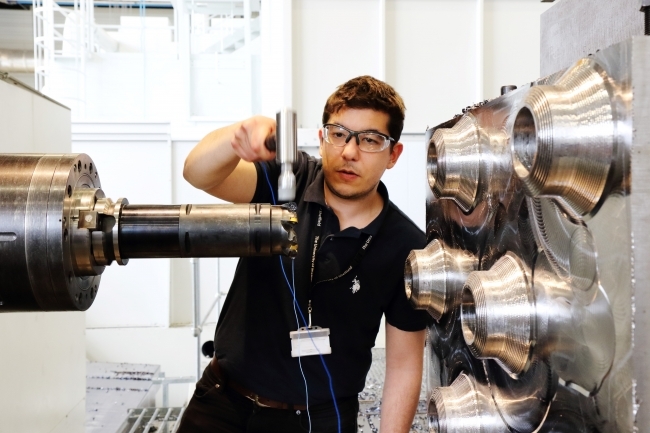 In one recent collaboration with Sheffield Forgemasters into milling techniques for large nuclear forgings, funded by Innovate UK, the Nuclear AMRC’s machining team reduced cycle time by 41 per cent. That could save weeks of work for a full-sized pressure vessel section – the kind of performance improvement which could give UK companies a global lead in manufacturing a proposed new generation of advanced modular reactors. The nuclear sector deal included support for new reactor designs which, if developed in the UK, will give manufacturers the opportunity to exploit innovative manufacturing processes which aren’t approved for the current generation of reactors. The Nuclear AMRC has positioned itself at the forefront of these new technology areas, and is working with all the major reactor vendors targeting UK development. The centre is also expanding its technical scope to support even more companies in the nuclear sector. The Nuclear AMRC initially focused on tackling the mechanical engineering challenges of the UK’s nuclear new build programme, but its mission doesn’t stop at metals – the centre is now developing new capabilities in areas such as electrical controls and instrumentation (EC&I), equipment qualification (EQ) and modularisation. Last summer, the Nuclear AMRC launched a dedicated modular manufacturing R&D facility at the Birkenhead site of member company Cammell Laird. Modularisation can significantly reduce construction risk for nuclear new build by doing more in a controlled factory environment, and less on a remote coastal construction site. The Nuclear AMRC is now establishing another new facility in Derby to develop new capabilities in EC&I and EQ, and create flexible research space to tackle the manufacturing challenges facing companies across a range of high-value sectors. The new facility will also open up the centre’s capabilities in large-scale manufacturing for the benefit of other industries, and draw on best practice and innovative technologies from those sectors to further enhance the UK nuclear supply chain. The Nuclear AMRC may say Nuclear on the door, but its impact and mission go far beyond.